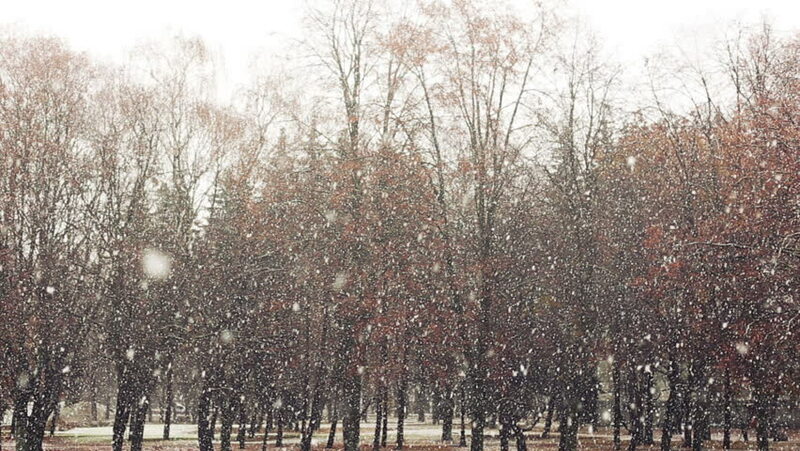 Snow falling in the park. hd00:16Autumn landscape with birch trees. hd01:00Beautiful landscape of a pine forest. Green fir trees and first white snow in Germany. The beginning of winter. Grey Day. White Winter Background, Slow Motion And Close Up.